Chy Carne Holiday Park is an excellent family run holiday park. Set within the Lizard Peninsula, near Kennack Sands; The coves and beaches of Cadgwith, Coverack, The Lizard and Mullion are all within a short drive. Pets are welcome. 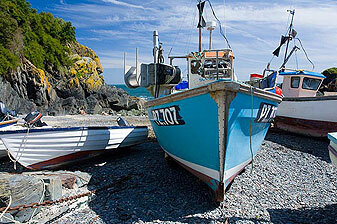 A small, family-run site, the most southerly in Great Britain, in a rural area with a spectacular sea view. Most pitches have sea views and are level, secluded with shrubs, tropical & Mediterranean plants. There are showers, WC's, hot water and fresh water on site and ice blocks can be frozen for you. There is a washing machine and phone charging facilities. Although not a working farm, they keep chickens, ducks and pigs and guinea pigs! Henry's welcome dogs and there are lots of children on site during the summer holidays. Situated at the top of Caerthillian Valley, near to the coastal footpath, the site is also handy for beaches such as Pentreath, Polpeor, Housel Bay and the spectacular Kynance Cove. Within a couple of minutes walk, though out of view, is the village centre where you can find a Post Office, groceries, fish and chips, cafes, gift shops, pasty shop, pubs, and the opportunity to buy fresh fish, crab and lobster. Tel. (01326) 290596. Namparra campsite is ideally situated on the beautiful Lizard Peninsula, close to the coast path and several beaches and coves just waiting to be explored. The campsite itself is a family run, friendly site consisting of a 6 acre meadow with stunning sea views set well back from the road and reached via its own little track. The pitches are of good size so you have plenty of room to spread out and enjoy the peace. They have good clean toilet facilities and free hot showers. There's plenty of room for ball games etc and well behaved dogs are welcome. there is a small log cabin shop selling all your daily needs including logs for your campfires and there are undercover washing up facilities and a small laundrette. Location: Kuggar, Kennack Sands, Lizard Peninsula. Boasting a truly magnificent location overlooking Kennack Sands beach, Sea Acres nestles on the Lizard Peninsula in a designated Area of Outstanding Natural Beauty – a perfect setting for an unforgettable family seaside holiday. All of the holiday homes enjoy private balconies, many take advantage of one of the most spectacular coastal views in the South West.